If you've suffered the loss of a tooth or multiple teeth, let Main Street Dentists rebuild your smile. Give us a call to set up a free consultation to find out which option is right for you. We offer all of these treatments at our Verona Clinic. What are Non-Removable Implant Dentures? Non-Removable Implant Dentures are a tooth replacement option that provides a foundation for a fixed/non-removable arch of teeth. This treatment option provides a screw-retained, same-day replacement for your entire upper and/or lower arch of teeth. It has revolutionized dental implant procedures and provides advantages over traditional dentures. Are Non-Removable Implant Dentures right for me? Anyone who is already missing teeth or needs extractions in their upper, lower or both arches may be a good candidate for Non-Removable Implant Dentures. Losing teeth can be a traumatic experience for anyone. It can cause a lack of confidence and affect your personal and professional life. It can also affect your speech and limit what foods you can eat. Candidates for this procedure must undergo a medical and dental review to make sure they are healthy enough for this procedure. What are the steps involved in the Non-Removable Implant Denture Procedure? The Non-Removable Implant Denture procedure begins with a consultation appointment. At your appointment, we'll explain the procedure and answer your questions to help determine if Non-Removable Implant Dentures are right for you. 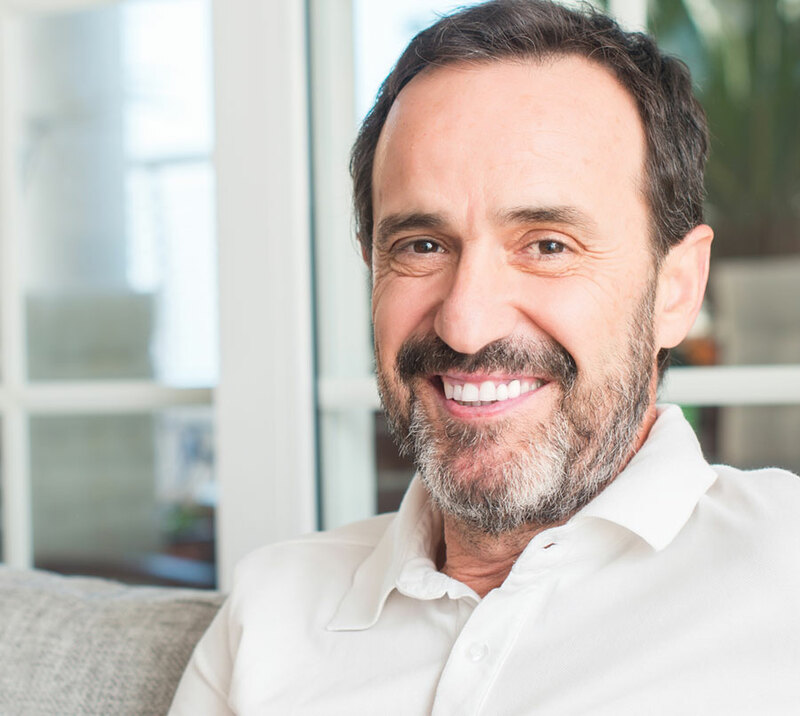 If Non-Removable Implant Dentures are a good option for you, we'll have you back to the office for a follow-up appointment, where we'll present an individualized treatment plan tailored to your unique needs. We'll also let you know about cost and payment options. The Non-Removable Implant Denture procedure involves several steps. First, we'll work with you to schedule the appointments required to fabricate the temporary, non-removable denture that will be inserted the day of your oral surgery. Next comes your oral surgery. During surgery, any remaining teeth are extracted. This is usually done under some form of sedation, so the patient is completely comfortable. Dental implants are placed, and your temporary non-removable denture is inserted. After a healing period of 3-6 months, we begin the process of fabricating the finished, non-removable denture. This process involves a series of appointments and typically takes three months to complete. Finally, we'll insert your permanent, non-removable denture, restoring your beautiful smile. How Do Non-Removable Implant Dentures Compare to Traditional Dentures? Instead of Non-Removable Implant Dentures, patients who have lost the majority of their teeth may choose traditional dentures. While Non-Removable Implant Dentures are a permanently attached option, traditional dentures are removable prosthetic devices that are typically supported only by the tissues inside your mouth. Traditional dentures must be removed nightly and sometimes during the day for cleaning and maintenance. Traditional dentures are made to mimic the look of natural teeth. Wearers may experience mobility in their dentures, sore spots, and the need for adjustment. Traditional dentures must also be periodically relined and may need to be replaced as often as every 5 years. Patients who wear dentures can chew at only 30% of their natural chewing force and may find it difficult to eat foods such as raw vegetables, fruits and meats. Over time, the jawbone supporting the denture shrinks causing poorly fitting dentures and bite. Unlike traditional dentures, Non-Removable Implant Dentures provide stimulation for the jaw, so bone loss is minimized. Implant-Supported Removable Dentures may be a good choice for patients who desire a denture with a tighter fit than traditional removable dentures but are not able to proceed with Non-Removable Implant Dentures. With this treatment option, several implants are placed in the patient's jaw, and a denture is retro-fitted to snap onto the implants. This allows the denture to be removed for necessary daily maintenance and cleaning. Once a year, the attachment pieces must be replaced to ensure proper fit. Today, the availability of exceptional dental care and awareness about the importance of good oral health has made it possible to retain our natural teeth longer than ever before. Even so, we may still lose teeth due to trauma, injury, and dental disease. Losing teeth is the first step in what can quickly become a downhill slide to more tooth loss and deteriorating oral health. If you lose a tooth, the best course of action is to find out why, correct any underlying problems, and then promptly replace the tooth before your other teeth begin to shift and alter your bite. At Main Street Dentists, we offer dental implants to replace lost teeth, as well as traditional bridges, partials and dentures, all of which can be secured with dental implants for a reliable, no-slip fit. Let's take a look at these treatment options. A dental bridge replaces one or more missing teeth. This form of dental prosthetic attaches to crowns placed on healthy teeth or to dental implants. Bridges are fixed, non-removable, dental prosthetics. Partial dentures, or partials, replace multiple teeth on your upper or lower arch. Partials are removable dental prosthetics. To keep your partial secure, clasps attach to healthy teeth or are placed onto dental implants. If you've suffered the loss of a tooth or multiple teeth, let Main Street Dentists rebuild your smile. Give us a call to set up a free consultation to find out which option is right for you.